planted throughout his adopted country. Always looking for new ways to reach all Macedonians with the love of Jesus Christ, Jimmy hosted a CHE Vision Seminar in February, sponsored by CHE Central Europe Partners. 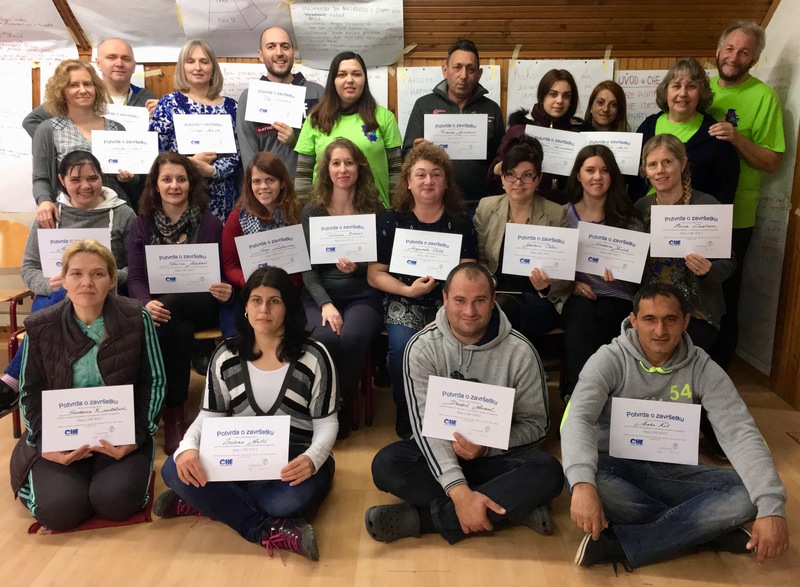 The vision of wholistic outreach and development in poor communities resonated with Jimmy and his leadership team and and they arranged with us to do a CHE Training of Trainers Conference (TOT1) for key church workers, May 20 to 25 in Stip, Macedonia. 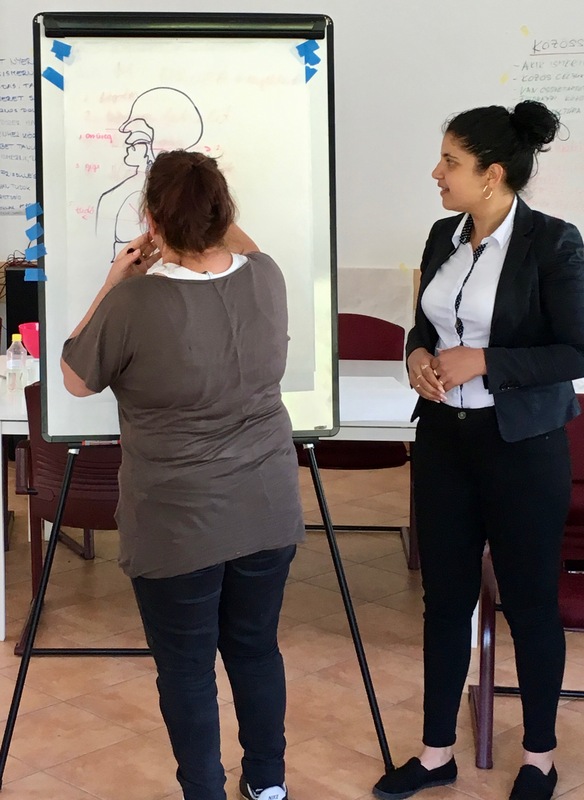 Because of the generous giving of CHE Central Europe Partners, we were able to hold the TOT1 at the church’s youth camp/training center. Ron and Jeannie, plus Dr. Ture Huhtamaki (Finland) and Agron Aga and Dr. Patriot Hoxhaj (Albania) facilitated the training. Praise the Lord with us that we now have 14 newly-trained, Macedonian CHE workers for Jimmy’s 20 churches! As we concluded the week-long training, many of these students expressed their desire and passion to begin CHE in their churches and communities. We made plans for the further consulting, resourcing and training of this team to help get their community projects up and running. All in favor of coffee, raise your hand! A small group discussion gets intense as Agron Aga of CHE Albania looks on! 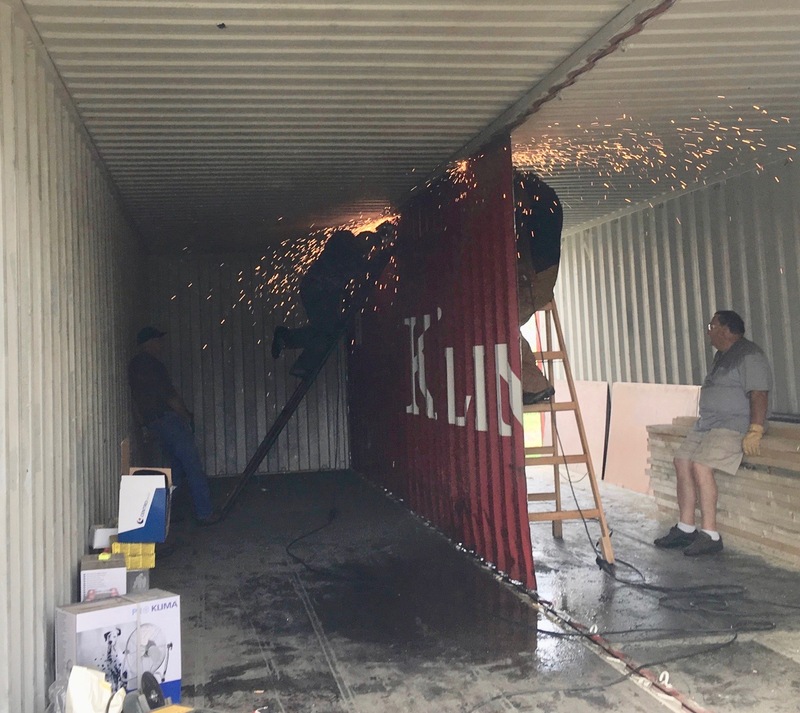 One unique feature of this CHE 35-hour course was that it had to be held entirely out-doors, since the training center was not large enough for all of us! We thank those of you who prayed for this. The weather cooperated perfectly, only raining at night! PTL! The weather was great the final day, as it was all week, while the Macedonia students did their practice teaching. We have prayed since 2014 for CHE and CHE programs to be established in Macedonia. Thanks to your faithful support and the grace of God, we are one step closer to that reality. Now pray for these new trainees to take the next step of engagement! The Million Village Strategy: 10,000 Model Development Communities will each stimulate 10 or more other communities to begin wholistic development. They will each become the model for 10 or more. Between April 29 and May 4, Jeannie and I experienced a mind-and-faith-stretching week at theInternational Wholistic Mission Conference and the two days of meetings of the CHE Representative Council. As CHE Coordinator for Central Europe and the Balkans, I sit with 10 other leaders far more qualified than I on this Council. Some of our agenda items are rather mundane, but some defy the imagination. One of those is the Million Village Challenge. Two thousand of the world’s people groups are still unreached with the Gospel. Eighty-five percent of these groups reside in rural communities. There are approximately one million villages left to be reached in the world. Reach these and you have almost finished the goal of proclaiming the Gospel to every nation, tribe, people and language. The Global CHE Network (GCN) of mission agencies, churches and denominations with national CHE teams working in villages in 130 nations has been uniquely positioned by God to reach these last million communities. So, God has set before us a Million Village Challenge! For the last several years the GCN has joined with other wholistic-mission-minded groups around the world in implementing strategies to introduce Christian wholistic outreach and development into 10,000 new model communities among the unreached by 2020. If the results from doing this follow the pattern of how the wholistic mission movement has spread to 130 nations in the last 35 years already, these 10,000 communities will be the catalyst, the light shining on the hill, showing God’s good works, that will stimulate communities around them to join the gathering wave. This could well become the global movement that reaches the millionth village! During the week Ron hosted a dinner meeting of mission agency leaders that have joined with the NAB and Medical Ambassadors International and are now moving into Central Europe and the Balkans to do wholistic community outreach and development. The subject was: How can we collaborate effectively to implement model communities in every nation of this region by 2020? We will hold a Summit Meeting in Serbia in September to fix our strategy. What an exciting time to be in missions! 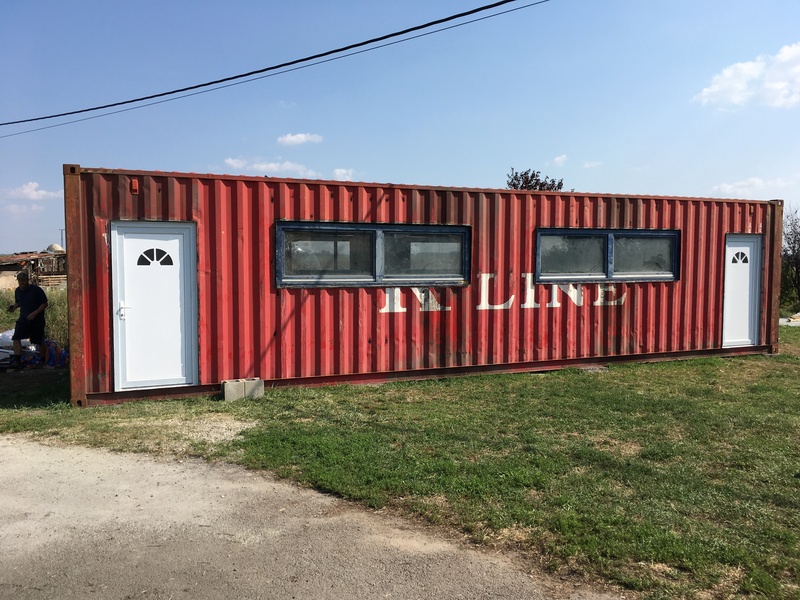 Every Wednesday morning at 7:30 CHE Team Leaders from east, west and central Hungary, Serbia and Bulgaria head to “the War Room.” No, they are not under military attack or terrorist alert. But they are engaged in warfare of a very serious nature. Inspired by the recent Christian film, War Room, which CHE team members and students watched one evening at last February’s TOT1 Training Conference, they recognized that, just like in the film, they too are engaged in terrific spiritual battles as they work to enter the impoverished and spiritually oppressive environments of many Roma villages. They also realized the need to put on the full armor of God and to take up the weapon of prayer more diligently. In order to encourage and intercede more effectively for each other, they decided to set up their own on-line video War Room prayer meeting. No time is spent sharing prayer requests. Instead, each participant prays for those areas where they are engaged in tough spiritual battles. Others listen and then intercede for them as well. Much time was spent pleading with God for significant spiritual break throughs to take place when short-term teams came to work in our communities this summer and during the village evangelism campaigns in September. We are encouraged by the wonderful answers to our prayers and yours as we struggle together in Jesus’ matchless name against the forces of darkness. This spring, 2016, was the busiest travel and training time of Ron and Jeannie’s ministry. Their passports have been well stamped. Here’s a brief rundown of where they went and what they did between February and June. February 21-26 CHE Training of Trainers Conference in Balatonföldvár, Hungary. 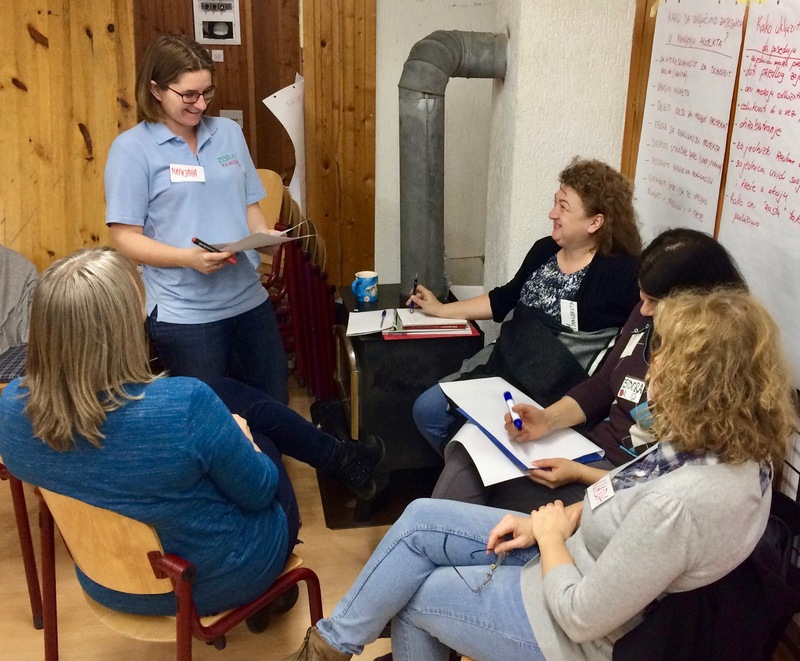 April 6-8 Neighborhood Transformation Conference in Paris, France. Ron gave devotions and spoke on the keys to growth of CHE’s ministry in Central Europe and the Balkans to 70 mission leaders investigating CHE’s urban strategy for work in Europe’s cities. 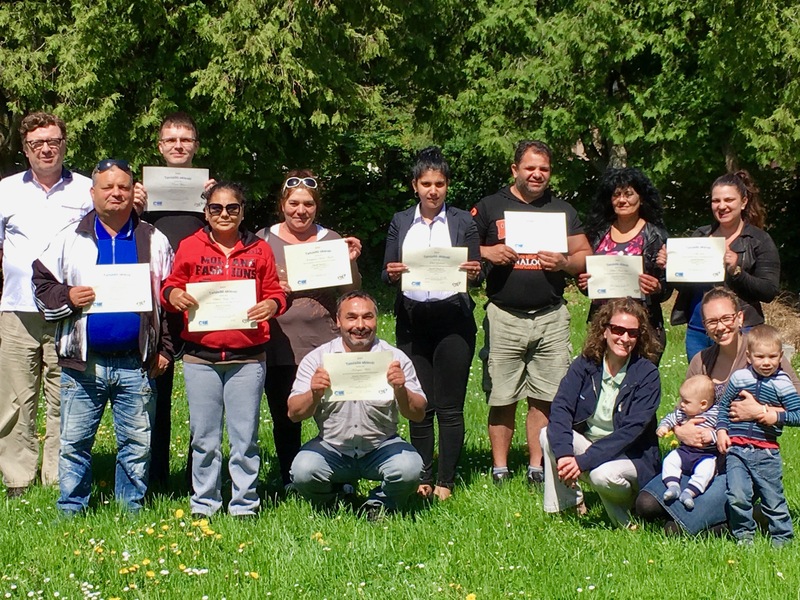 April 21-27 Developing Sustainable Partnerships (DSP) Training Conference in Tirana, Albania. April 30-May 6 Global CHE Network Representative Council Meetings, May 2 in Phoenix, Arizona International Wholistic Missions Conference— Ron was the keynote speaker to open the conference. Ron and Jeannie led a workshop on the new DSP course. Ron presented devotions several times. May 16-20 Ron and Randy Schmor of Gateway Teams did NAB Partnership presentations to leaders in Romania and Serbia. May 22-26 NAB Mission Summit. The NAB Hungary and Romania fields hosted a meeting of NAB Field Leaders and International Office staff at Lake Balaton. What’s next? Ron and Jeannie are putting away their passports and planning some much- needed vacation time for the last two weeks in June. 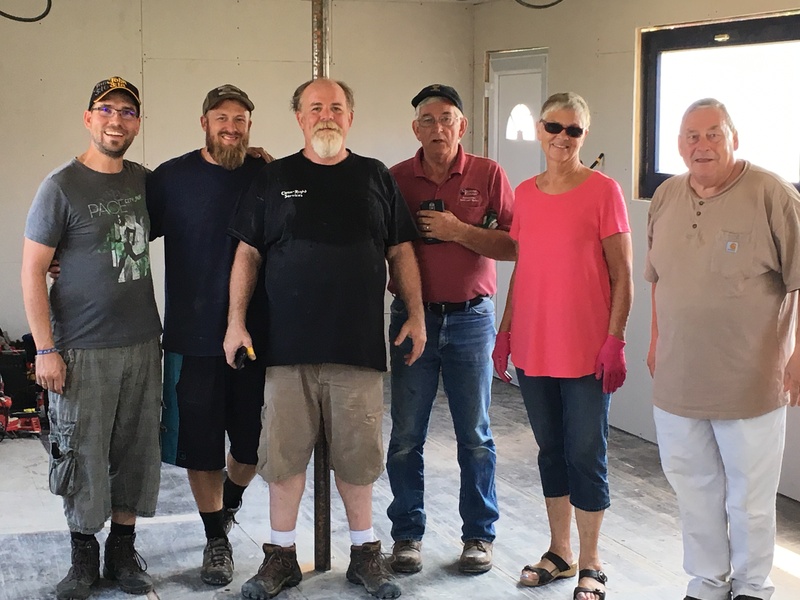 In July MEK Hungary will be working with a short-term missions team from Steamboat Rock, Iowa to do 3-day ESL Bible Camps in Boldog and Csörög. 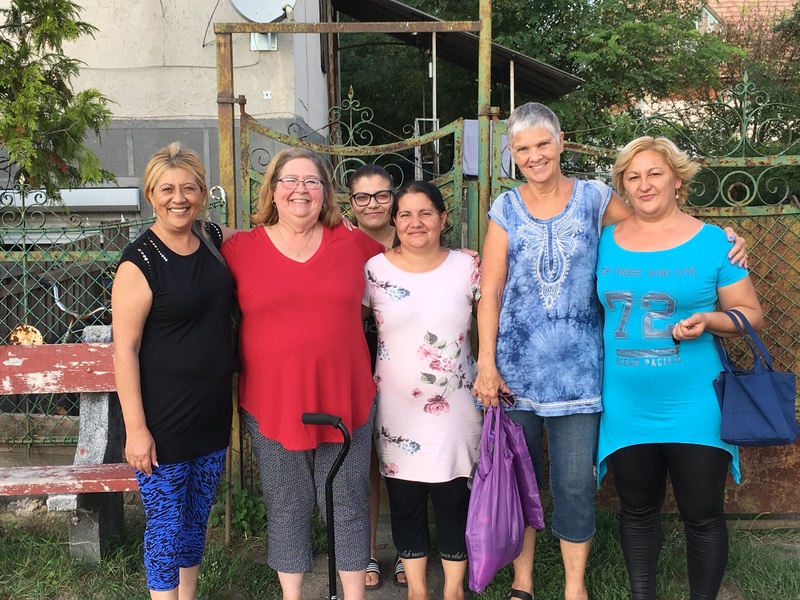 In August they will take a Vision Team of pastors and church leaders on a tour of potential partnership churches and projects in Hungary, Romania and Serbia. If you would be interested in being part of this Vision Trip, contact Ron immediately. The Passive Solar Greenhouse Now Has Skin! When you last saw the greenhouse at Grassalkovich Vocational School in November, It looked like an enormous, metal, whale skeleton! 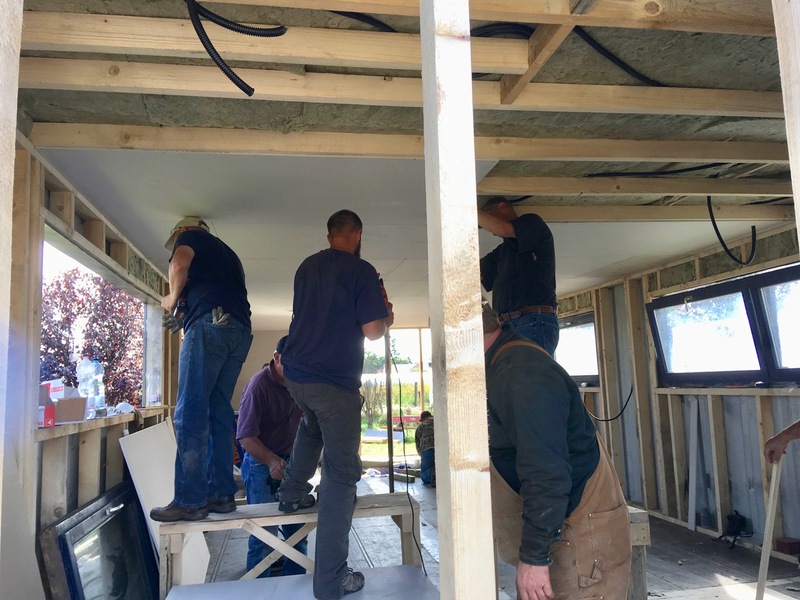 It was decided at that time to wait until spring and warmer temperatures to cover the passive solar greenhouse framework built by the school faculty and students and our NAB Gateway Fuse Team. The passive solar greenhouse “whale skeleton” without skin. 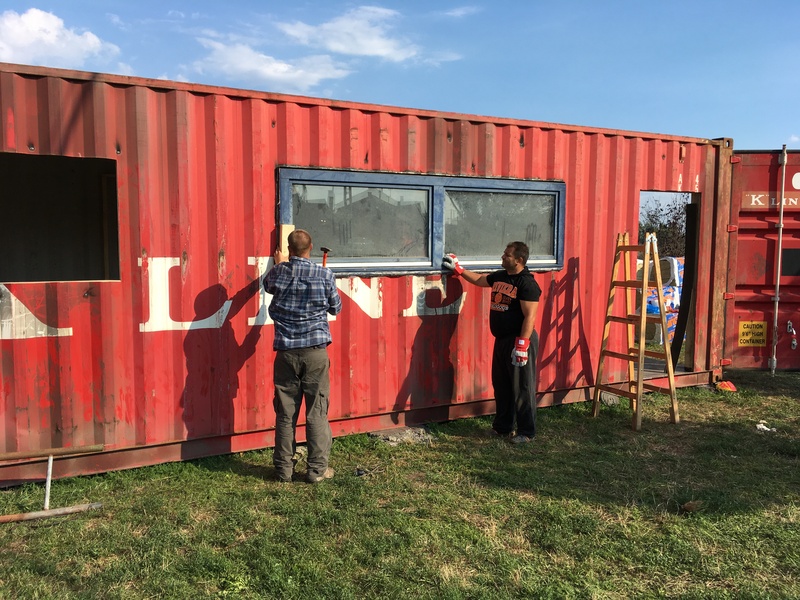 The outer poly skin has now been added and the agriculture students and faculty are utilizing the greenhouse to grow vegetables. In the fall, they will add an inner poly layer as well. This layer will keep the fall and winter heat in by reflecting inward the infra-red heat rays and providing an air insulation barrier. 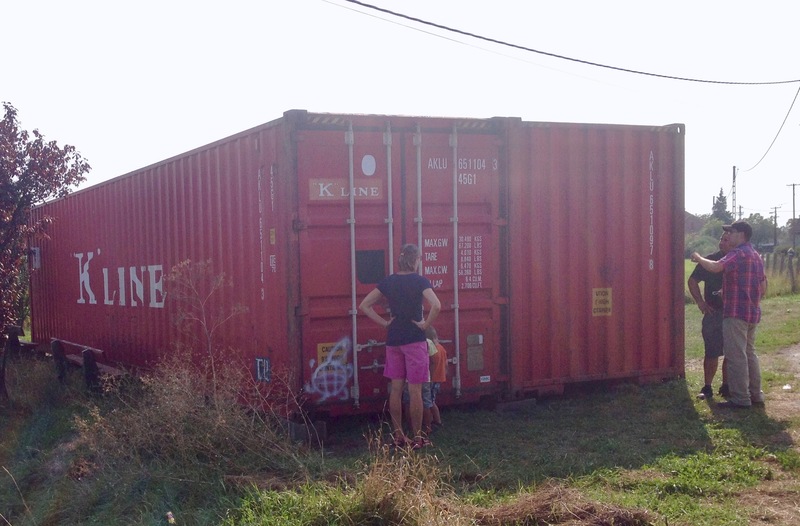 One of the agriculture teachers, Magda, expressed her joy with the new, large greenhouse. 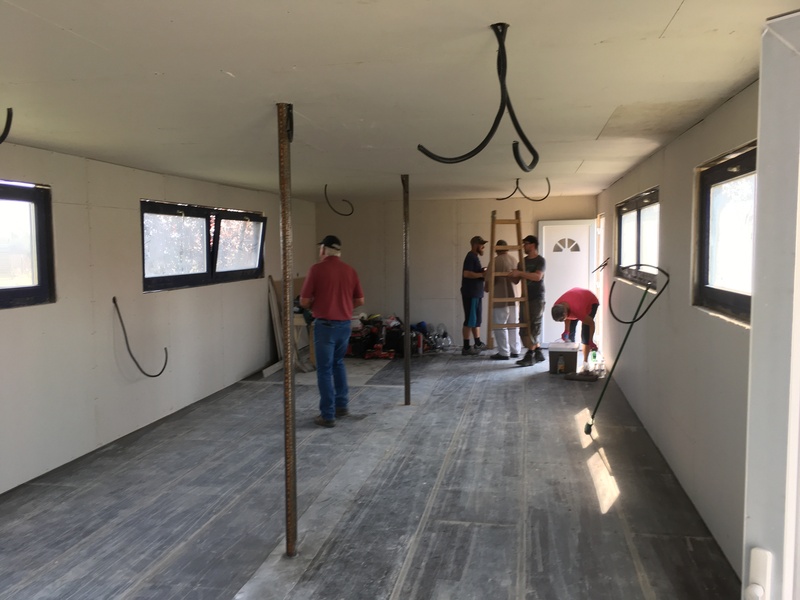 “Because of the design, we have plenty of room to stand up, right to the side walls, while we work,” she explained in Hungarian. The structure provides for efficient use of space for planting and gardening. A look inside “the whale.” The black wall is the heat sink which will collect and radiate solar energy in the fall and winter. The MEK team is hoping for a few free tomatoes this summer!